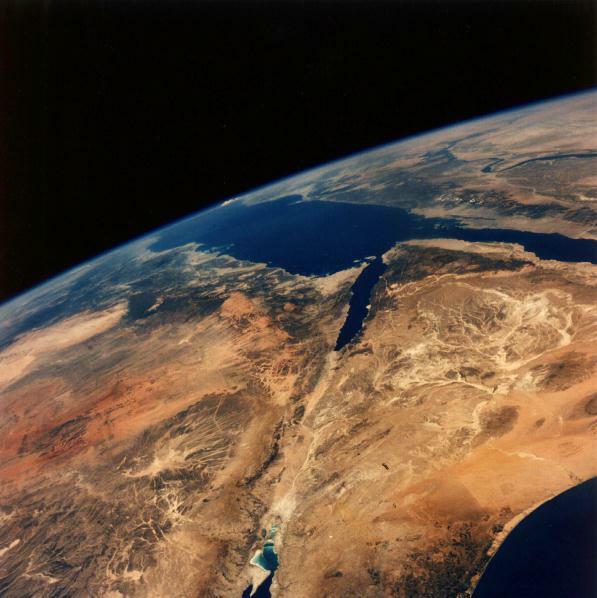 The lowest point on land is the Dead Sea that borders Israel, the West Bank and Jordan. It’s 420 meters below sea level. The Dead Sea sits on top of the Dead Sea Rift, a tectonic fault line between the Arabian and the African plates. The movement of these plates causes the Dead Sea to sink about one meter per year! The Dead Sea used to be connected to the Mediterranean Ocean, but over a geologic time scale, it became cut off and evaporation concentrated the salt in the water so that today, the Dead Sea is 30 to 31 percent mineral salts. It has the highest level of salinity of any body of water in the world. Just a side note, I’ve had a chance to swim in the dead sea, and it’s one of the strangest experiences I’ve ever had. The lowest point on land in the Western Hemisphere is Death Valley in California at 86 meters below sea level. The lowest point on the Earth’s crust is the Mariana’s Trench in the North Pacific Ocean. It is 11 kilometers deep. Like many of Earth’s extremes, the Mariana’s Trench is caused by the Pacific tectonic plate subducting beneath the Philippine plate; this means that the Pacific Plate is sliding underneath the Philippine plate. The point where the Philippine plate overlaps is Mariana’s Trench. This is AWESOME since in Islam, there is a verse that was revealed 14 centuries ago that discusses this exact point when it says that the Romans will be defeated “In the lowest part of the earth…” in Chapter 30. The Romans did actually lose a war against the Persians at that time and it was exactly near the Dead Sea where they lost. Talk about cool! Previous PostPrevious Could Humans Move the Earth? Next PostNext What is the Driest Place on Earth?